According to the Manufacturers’ Outlook 2018, a publication put forth by Grant Thornton, more than half of senior executives in the manufacturing industry are expecting orders and sales to increase and profits to rise. The report also found that the top challenges facing the industry in the year to come are: controlling costs, pressures on prices and improving productivity. With such growth in the industry and the trade’s current challenges in mind, it’s safe to say there’s a clear need for modern software solutions that streamline and organize manufacturers’ business operations. In this part of our “What is ERP?” series, we want to go into a little more detail on what Manufacturing Management ERP software is and how it can take your manufacturing business to the next level. Manufacturing is the process by which raw materials are transformed into finished products. In order to accurately manage a manufacturing process businesses’, need a collection of technologies and methods to defined how products are to be manufactured. When management of manufacturing is not effective, it can result in inferior quality, defects, and safety issues in products. Poor manufacturing management can not only affect your bottom line but could ultimately put you out of business. Because of the constantly-changing nature of the industry and the various moving parts, manufacturing management needs to be dynamic and adaptable. 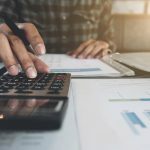 For example, if your company is competing on price, your manufacturing has to focus on cost reduction and may implement lean manufacturing methods. A key to maintaining agility and establishing excellence in production is to adopt innovative technology when it helps achieve specific company goals. Manufacturing ERP software, like Acumatica, solves many challenges and provides invaluable benefits to manufacturers seeking to reduce costs, manage growth, streamline processes and gain a competitive advantage. ERP increases efficiency and productivity by helping users navigate complex processes, preventing data re-entry and improving functions such as production, order completion and delivery. Further, an effective ERP solution allows manufacturers to proactively manage operations, prevents disruptions and delays, breaks up information backlogs and helps users make decisions more quickly. 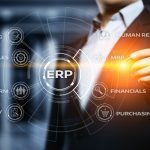 Selecting an ERP manufacturing management and accounting system to run your business is a decision that will affect your company for many years. There are plenty of distribution management systems on the market, but only one is right for your business. The ERP you choose must support the technologies that enable faster access to more useful data to facilitate efficient, agile and automated processes. Cloud solutions, such as Acumatica’s MRP ERP solution, give you the ability and flexibility to take care of business whenever from wherever (check out the Acumatica Roadtrip as an example). These solutions also provide real-time data from a configurable dashboard, customization, and updates from your software vendor to stay up-to-date on new best practices and regulations. Make sure your ERP matches your business. There are ERP systems for process and discrete manufacturers as well as make-to-order or make-to-stock business – choose the solution that most aligns with your needs. Connect to your customer. Make sure your ERP includes a CRM module; you want your solution to help your business maintain close connections to your customers – that’s how you ensure your success. Flexibility and agility. Find an ERP solution that can react quickly to changes in supply and demand and continue to help you deliver products on time and profitably. Analytics. To support the ongoing growth of your business, choose an ERP solution with a powerful analytic module that you can use to develop executive dashboards and guide users throughout the company to make strategic business decisions. We’ve discussed what manufacturing management is, why it’s important for your business and some categories to consider when selecting one for your enterprise. Now, let’s take a look at what makes Acumatica Manufacturing Management Suite the most effective manufacturing management solution for your business. The Acumatica solution is a complete, multi-site manufacturing control and planning system that integrates your production planning and shop floor with customer management, sales orders, inventory, purchasing, accounting, and financial reporting to provide real-time coordination of activities across your entire business. Acumatica’s embedded manufacturing solution, (Formerly known as JAAS Advanced Manufacturing Software (JAMS)), is built within the Acumatica framework and includes many critical features for manufacturers. The multi-level Bill of Material (BOM)/Routing module presents both engineering and financial views of the product structure, while efficiently planning and managing your inventories, costs and manufacturing processes and maintaining full revision control. The Materials Requirements Planning (MRP) module is a powerful planning tool that enables your organization to satisfy customer requirements while maintaining optimal inventory levels. Acumatica provides feature-rich cloud manufacturing ERP software. Acumatica Manufacturing Edition integrates seamlessly with Acumatica’s Financial, Distribution Management, Customer Management, and Project Accounting suites. The software offers real-time coordination of your business activities from one central location. Exercise full control from engineering change request to engineering change order to engineering change notice with approvals throughout each step in the process. Respond to demand while optimizing inventory and resources for effectiveness and cost control by planning with Acumatica’s manufacturing ERP software. Use Capable-to-Promise (CTP) to commit to customer delivery requirements based on finite capacity and material availability. Track material and labour costs as you manage your products. Compare standard and planned production costs to actual costs of production. Advanced Planning and Scheduling: Manage and monitor your shop floor schedule and work center capacity, with what-if planning capability, ability to promise, as well as scheduling and/or machine resources. Project Integration: Track all associated costs at the project level and compare actual costs to a user-established project budget. Production orders can be tied directly as a task to a project or produced to stock. Project Configurator: Rules-based system with non-hierarchical feature selections and configuration. Configurations can be created on quotes, sales orders, and/or production orders with real-time price and cost roll-up while the item is being configured. Engineering Change Control: Automates, controls and organizes all change requests, plans and actual changes to a Bill of Material. Full control from Engineering Change Request to Engineering Change to Order to Engineering Change Notice with approvals throughout each step in the process. Estimating: Create estimates for new or existing items and display the cost of the estimate. Can be converted into bills of material, production orders, and/or another estimate. Quality Management: Provides support for document control, complaints and non-conformance (CAPA & NCR) management, inspection and SPC and audit management. FSC Lighting Inc. began as a fluorescent lighting manufacturer and later expanded to include LED lighting with an emphasis on controls, automation, and energy efficiency. For decades, the company ran on processes established in 1990 and Sage DacEasy, which wasn’t set up properly, lacked accountability and couldn’t scale as the company grew. FSC needed a solution that would help them scale their business as they transitioned from a very manual operation to an automated operation. FSC chose Acumatica for its flexible, scalable, cloud-based ERP and excellent value. 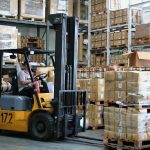 Before implementing Acumatica, the warehouse manager kept all sales orders, purchase orders and other paperwork out in the warehouse, and would match the paperwork with inbound receipts. Now, the manager can access the Acumatica dashboard and see items instantly as they come in and receive orders right into the warehouse. Another benefit for FSC is that they have been able to cut their invoicing time from as many as five days to a mere 20 minutes. Finally, Acumatica’s ability to handle multiple entities also allowed FSC to use the software with its joint venture partner in Taiwan. Overall, FSC lighting is incredibly pleased with all aspects of Acumatica. Leading manufacturers are realizing that the many changes in the industry are influencing their profitability. Because of this, they have turned their focus to finding fresh ways to provide innovative products and exceptional service by adopting cloud solutions such as Acumatica and MRP ERP.